Video is one of the most important and impactful communication mediums today. It is indeed the age of video: various social media platforms like YouTube and video making software like Lumen5 have made it easier and more affordable to produce video content. In fact, this year, 80 percent of web traffic will be video. You’ll want to get in on that and start to seriously incorporate video into your marketing strategy. You however need to understand the basic rules of video marketing in order to build a successful video marketing strategy. Here are 5 unbreakable rules for video marketing success. It’s important to define your video marketing goals; be it driving conversions, brand awareness or link clicks. Did you know that video can increase your conversions by 80 percent? Yup! Think about it: your customers live in an age of convenience. They don’t want to read large amounts of text anymore — they would rather watch a video clip, which is less of an effort. Simply put, video is more engaging and time-saving for them. The brand awareness and backlink opportunities for video are massive. Truth be told, you need to create videos for social sharing and backlinks, even if your main goal is to drive conversions. 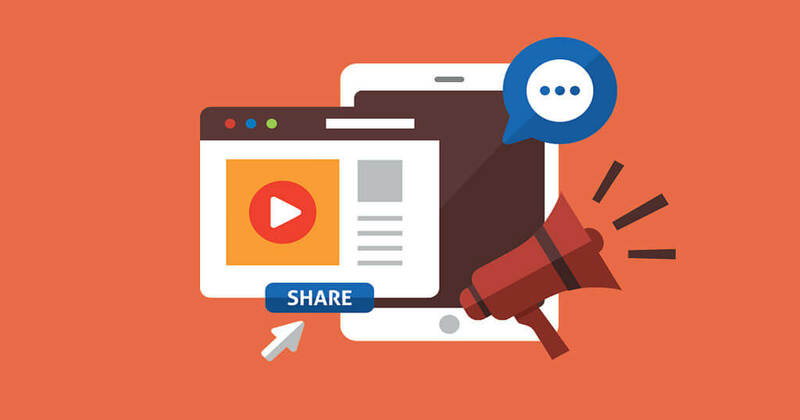 So which types of video are best for brand awareness and link building? Any video that entertains, educates or provides a solution to your ideal customers’ most pressing problems. The overall aim is to have engaging enough video content for users to share and get enough backlinks to increase your site authority. If you want to fully engage and capture viewer’s attention for the duration of your videos, you’ll need to make sure the videos are the right length. The timing will of course differ based on the content of your video, the social media platform you’re posting the video to and what action you want viewers to take. For example, social media = instant gratification. People want to consume content fast, get the latest news, get info on trending topics or be entertained for a short while. Also consider that 80 percent of social content is digested on phones. Therefore, short-form videos are ideal. What we suggest is that you track and analyze how long viewers are watching your videos in order to optimize their length. A rule of thumb: less is more. Micro-videos perform better with today’s audience. Hubspot conducted research and recommend 26 second Instagram videos, 45 second Twitter videos, 1 minute videos for Facebook and 2 minute videos for YouTube. However, you have 10 seconds, on average, to capture viewer attention before they click away for scroll away from your video. You may have a huge following on social media but it’s still important to optimize your videos so prospective customers can find them. When it comes to video SEO, descriptions are everything. Descriptions are what allow search engines to have an idea of what your video is about. So you need to spend some time with metadata like keywords, unique titles and engaging, compelling descriptions. In fact, you should add keywords to your video titles, descriptions and tags. A quick word on the importance of headlines and titles: Where do you watch videos? Most viewers watch them silently on their computers at work or on their phones while commuting or on lunch breaks. That’s why it’s so important to use headlines and titles to highlight key points to make your videos equally as impactful without sound. All in all, video SEO is vital to video marketing success. Nobody likes the feeling of being sold to. Enter storytelling as the new sales pitch. Video storytelling is all about providing value and fulfilling viewers’ needs. To truly connect with your customers through video, you need to create emotions and mood swings to keep them on the edge of their seats. For example, let’s go with the classic storytelling narrative that spices up any story: happy-sad-happy. You need to have characters that help build connections, you need to put forward a conflict that grabs user attention and then a resolution that helps the audience figure out the moral of the story. In this way, through storytelling, you’ll be able to create a brand that resonates with your customers and delivers a message that will tug at anyone’s heart strings. In order to get the best results possible, you should continually measure and analyze your video marketing success. And it’s really not that difficult. Most online video players provide metrics to help you measure the success of your videos. You can also add trackable CTAs to landing pages and use promo codes to track leads and conversions from your video. You can also use your analytics to figure out which content you need to put out. If you have a blog like we do, you’ll have a lot of content ideas on your blog. In that case, simply look at your top performing blog posts to identify ones that resonate most with your audience. The next step is to convert those into videos using Lumen5. You can find your top performing posts in Google Analytics. Go to Behavior > Site Content > All Pages. That will show your top performing posts for the past month, week, or whatever date range you set in Google Analytics. Video is predicted to be the third most-watched type of content in the future (following news and social media posts) so it’s important to start implementing these 5 unbreakable rules for video marketing success. Tell us, if you’re already running successful video marketing campaigns, what tips would you recommend to others? Which video platforms do you use? Which video making software do you use? Drop your thoughts in the comments!